Neillsville Gun Club members had the idea a little more than a year ago to have a trap-shoot to raise money that could help send a veteran on an Honor Flight. That idea resulted in the fruit of raising $500 – the price for one veteran to be sent on the flight. Those members thought they’d give the shoot another try this year, again on the weekend of the Neillsville Winter Carnival. Club president Marcus Schultz said he’s happy they did, as the second attempt raised $2,500 – enough to send five veterans on the one-day flight to Washington D.C., to see veterans’ memorials. 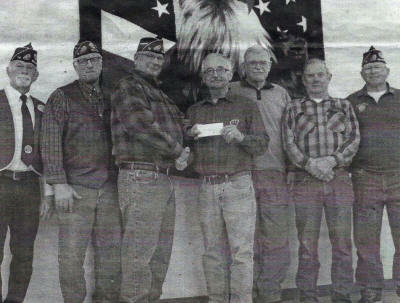 Neillsville Gun Club members on March 5 presented the proceeds to the Neillsville American Legion Post 73, to be forwarded to the Honor Flight project. Schultz, himself a veteran and Post 73 member, said the notion to hold the Honor Flight fundraising shoot goes primarily to Neillsville Gun Club member Bill Ohrmund. “I have to give credit where credit is due; Bill isn’t a legion member or a veteran, but he thought we should do something meaningful, such as helping send some veterans on the Honor Flight,” Schultz said. Other club members followed the suggestion, and the Honor Flight Shoot was born. Schultz said Ohrmund worked at recruiting shooters from other trap clubs in the region. Forty-three trap shooters from a wide area attended the event, their participation fees adding to the Honor flight pot. Schultz said raffles of items donated by local businesses and individuals were major parts of the fundraising, as was the sale of food donated and prepared by Ohrmund and his wife Nancy. “We had unbelievable participation from the community with so many raffle items donated,” Schultz said. Connecting the effort to Post 73 also helped with the fundraising, he added.  Schultz said club members would like to see more local shooting participants in the event but noted that many are participating in other Neillsville Winter Carnival weekend events. Last year’s shoot was held on Sunday, so this year’s event was moved to Saturday to see whether more local shooters could attend; Schultz said club members will continue to hone the project to attract more local shooters. Prior to shooting club members presenting the funds to Post 73 leaders during the post’s March 5 meeting, several veterans who’ve participated in Honor Flights expressed how fulfilling their experiences were. Schultz said hearing those voices made the fundraising work worthwhile, as at least five more veterans will be able to participate as a result. The Honor Flight program was started in 2004, after completion of the World War II Memorial in Washington, D.C., as a means of allowing World War II veterans to see the memorial. World War II veterans continue to receive priority for being part of the flights, followed in order by Korean War, Vietnam War and Persian Gulf veterans. Veterans who are terminally ill are moved ahead in the participation priority.